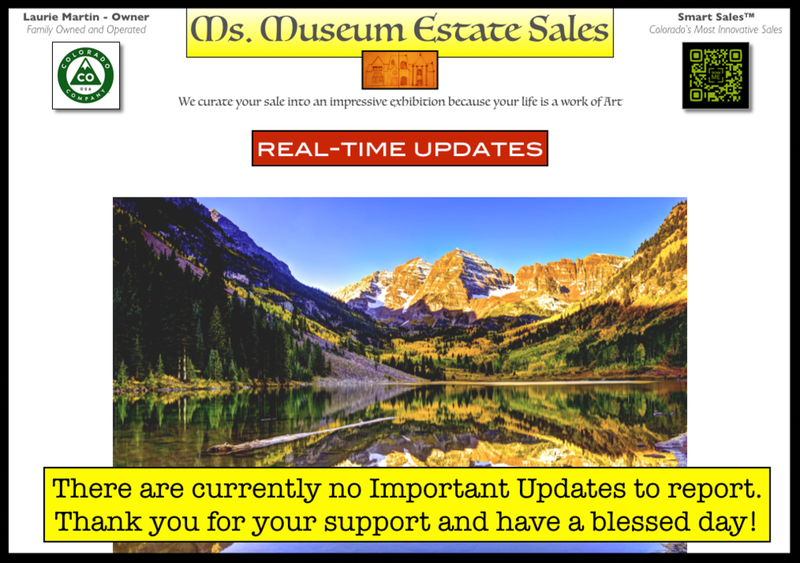 We maintain our own Real-Time Update system that quickly notifies our valued shoppers of any important information related to our events. Our team is always able to easily and instantly communicate a wide variety of information, ranging from severe weather updates to traffic detour advisories. This service allows us to provide in-depth details without any limits (like Twitter's 140 character count). Below you will find any active updates that are relevant to the current sale.